Once again my analysis of the vice presidential candidates is not a political assessment. It is merely an analysis of the candidates body language, communication, and speech patterns. Both candidates did the “Power Greeting” where they both clasped one another’s arms as they shook hands. Both candidates were well spoken, dynamic and passionate in their delivery. There was no question that Ryan was up against a very formidable opponent and he knew it. 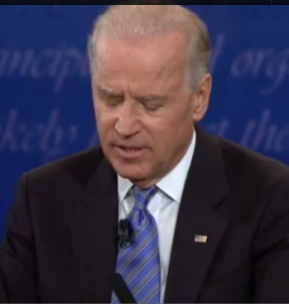 Debating with Biden often left him dry mouthed as he took seven sips of water throughout the debate . There were also several occasions where you could see him visibly swallowing which also indicated dry mouth due to anxiety and tension. You could also see him visibly breathing and oxygentating himself as he listened to Biden. But all in all he did extremely well against his well spoken sonorous voiced opponent- Vice President Biden. He clearly held his own. With the exception of taking notes at the beginning when Biden spoke, most of the time Ryan looked directly at Biden when the Vice President spoke. Ryan even interjected some humor when Biden said “Bunch of stuff” and said about Biden” He’s Irish.” He also added humor when he said to Biden that we all know that “the words don’t come out of your mouth the right way” as Biden found this humorous as well. unlike Biden, who looked down and peppered his speech with a lot of “uh’s and um’s. While pointing is a genuine gesture when expressing a point which you are passionate about when someone is constantly pointing as Biden was, it displayed anger , aggressiveness, and a condescending nature. 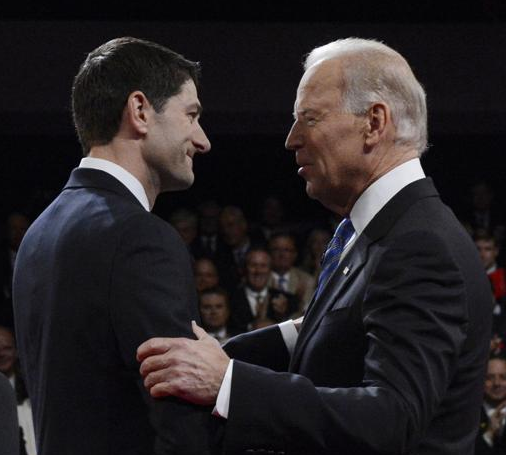 Biden was vocally aggressive as he spoke louder and often had a staccato cadence. At some points in the debate it may have been seen as verbal bullying. In fact he appeared testy and aggressive with the moderator as well. The constant interruptions, facial mugging when his opponent was speaking , inappropriate smiling, laughing, constant reference to Ryan as “my friend here” and pointing did not make Biden a winner from a body language and communication point of view. Thanks again for your opinion. I’ve actually learned quite a bit from listening and watching you. I’ve always had pretty good intuition but I sure wish I was as good as you at interpreting body language! Thank you so much for your professional analysis! You are always spot on! I don’t think that being loud is being right! I also think Mr. Biden was not polite and you don’t want a VP like that! It shows he had no respect for Mr. Ryan! I think Obama politely let Mitt Romney lie, and that was perceived as a mistake. 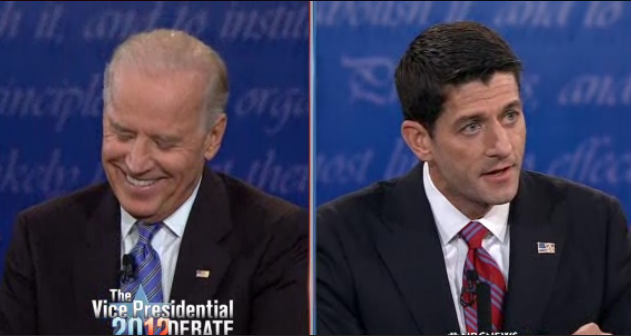 This time Biden had to call Ryan out with words and body language. One reason Ryan may have had dry mouth was that he knew he was not going to get away with dubious “facts” and insinuations like Romney did. He was probably uncomfortable lying, not being as knowledgeable or experienced as Biden in many areas and presenting false information. Couldn’t agree with you more Megan. Biden was not gonna make the same mistake Obama did. While Obama did not speak up against Romney’s twisty truths..it showed up in his body language. He felt uncomfortable, angry, frustrated by Romney’s spin but instead of addressing the spin directly he stuffed it, probably hoping most people were familiar with his opponent’s positions and could see through the shifty lack of substance, nevertheless his uncomfortability with the b.s. he was hearing was apparent, and it leaked out in a major way in his body language. Which did not go over well in people’s perceptions. It’s too bad he supressed his words and failed to address the spin. He let his body language do the talking instead of his words. 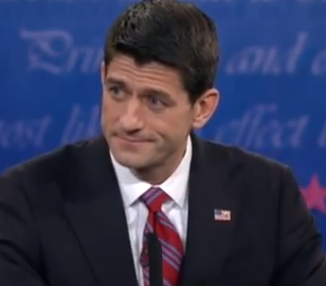 At least in terms of his honest reaction to Romney’s words. Biden made sure not to repeat Obama’s mistake. Obviously, Biden didn’t supress a thing. LOL! Your professional assessments are clearly infused with your own personal political beliefs making you just as sad as the party you clearly support. I happened to catch both of your appearances on Good Day LA giving your supposed “professional assessments” of the candidates post debate. You’re completely biased, Dr. Glass. You never called Mitt “Lying” Romney rude or attached any of the same rhetoric even though his behavior was just as rude and condescending as VICE PRESIDENT JOE BIDEN. You could barely eek out a truth (much like your fellow republicans) so your credibility should be questioned as well. Romney and Ryan are blatant liars so I get why Fox chose to have you in the segment. Support whomever you like but your responsibility is to be fair and unbiased. You’ve failed miserably on both accounts. David Strom, please do not speak for me and tell me what I do or don’t believe. Only I can tell you what I believe. I do not support any party. I just report what I see. I saw no signals of deception from a body language point of view regarding anything relating to Mitt lying. 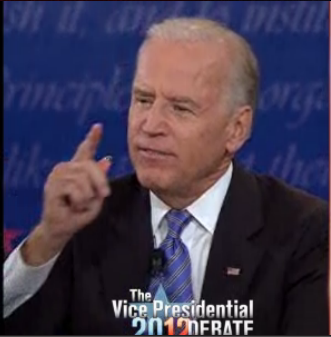 Biden WAS rude and condescending. How would you like to be speaking and have someone mug and make faces and laugh at you while you were talking. That my friend is RUDE! Don’t accuse me of not speaking my truth as I speak what I see. I am not aligned with Republicans or Democrats. And as far as FOX or any media station, choosing me I am honored. Also you mention that Romney and Ryan are liars yet you dont mention specifics. As I said I do NOT run a political site. I run a body language site and I disagree that I have failed anyhttps://drlillianglassbodylanguageblog.wordpress.com/wp-admin/edit-comments.php?p=5482&approved=1#comments-formone. If you get your own agenda out of the way and look at how the candidates presented themselves, you could objectively see their behaviors as I have done. Ryan , was very nervous I must say. Ryan ,was to nervous and that’s not good. He seemed to not believe in his owns words 100 percent . Which means he is not honest with the public. Show me one politician that is and I will hand you a golden willie wonka ticket. This was the t.k.o. knockout I warned you about. Biden , beat him down in public and made him look like a little rookie. Biden, surprised me with his tactics. Joe Biden , took him out to the old wind mill and drowned him . I think Ryan will be better in 4 years and ready to fill the Vice President shoes. It was definitely Joe Bidens, rodeo and ryan was the little clown in the ring. Ryan , is such a little cutie with those beautiful blue eyes. All I can say is may the best man win! Love , yu Mrs.Glass, keep up the great work. Did everyone see the picutre of Sandusky , riding in the back of a car. He looked so evil when he was angry and it showed in the picture. It must be true pictures don’t lie. I did not watch the VP Debate but thank you for your highly professional and objective observation of this event. Your insights are educational and enlightening, and your services to the public are always appreciated. Please continue to share information with us on events as you don. most unbiased professionals consider this debate a draw or in Biden’s favor. Clearly are leaning towards the Republicans, which is fine if that is the party you favor, but let’s not pretend you are being completely objective. the fact you didn’t call Romney “rude” for basically doing the same things as Biden did shows how biased you are. I used to respect you Dr Glass. No more. Sorry you feel that way Yolanda. Romney didn’t roll his eyes and laugh and mock Obama and call and call Obama “my friend here”. 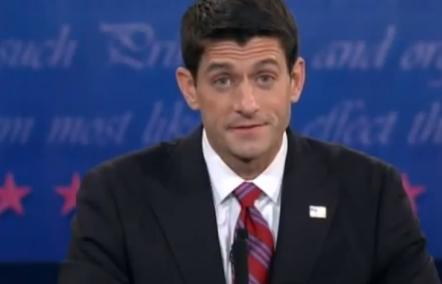 Romney interrupted, he smirked and he yes clearly mocked the President. And he lied. Any reason you didn’t comment about Romney’s lies? I think most of the negative comments here can be attributed to the fact that you are all Democrats. You are obviously all used to a liberal biased media and anyone who dare argue with you must be biased. It is easy to see how personally offended you get when someone says something that runs contrary to your agenda. I hear everyone saying that Mitt lied. Easy to say but I don’t see you backing it up with concrete examples. Can you? Biden was much more brazen with his disrespect. 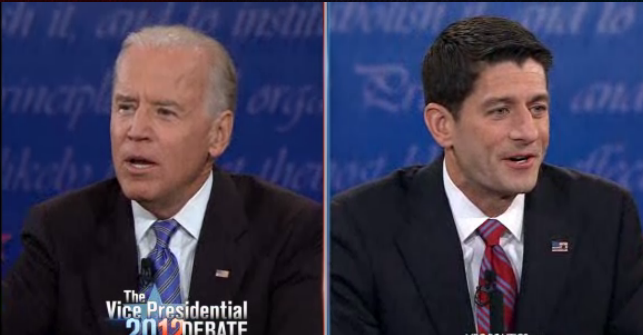 Romney was aggressive and eager to debate while Biden interrupted any time Ryan tried to speak. He used slang such as malarkey and even muttered under his breath. He has been in Congress since Ryan was born and trust me, he knows how to play the game. I’m sorry but I can’t think of a more rude or unwilling-to-compromise president than George W. Bush. Yet all of a sudden “rudeness” is a quality the conservatives now seem to get all bent out of shape about?!? What gives? I’m glad the Democrats are now speaking up for themselves and calling out Republicans on their lies. I, for one, can’t wait till this election is over with. Mrs. Glass , I thought he was allways a real jerk period , but I noticed the sadness in his eyes. I decided to research Joe Biden ,and to my discovery he had two brain strokes. He lost his wife and little girl in a Christmas shopping accident when he was 39. One of the boys was critical injury and the other was hurt in the same accident. He may not be able to control his emotional outburst at times we feel is rude. He has suffered alot of trauma in his life . Maybe it affected the side of his brain that makes him seem so cold at times. I think I had it wrong it was a brain aneurysm , blood leaked into his brain. He had emergency brain surgery.